Why Should You Outsource Your Financial Department? Virtually all larger well-established businesses employ the services of a Chief Financial Officer. After all, they understand why they need this resource and they can afford to have it in-house. So what about less established or smaller and medium-size businesses? In our experience, plenty of smaller businesses seem to find it hard to address the issue of accessing CFO level experience – on a small business budget. Sound like you? This video sheds some light on how to get started with outsourcing your financial department. 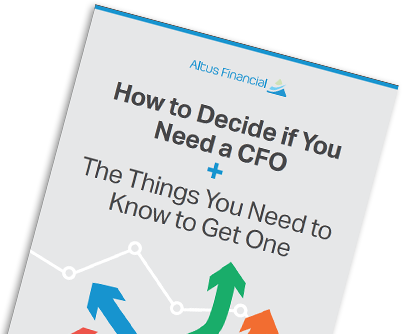 If you have any further questions about employing Altus' CFO Services, get in touch with us today by completing the form below.